With the increasing complexity of building services installations in modern, highly serviced offices, commercial buildings and other work spaces, the need to manage and control bacteria in closed heating and chilled water systems is becoming ever more important. Here we consider the main problems caused by bacteria in closed heating and chilled water systems, we look at how to carry our simple water tests to identify the contaminating bacteria, and the types of bacteria that are commonly found to contaminate closed systems. 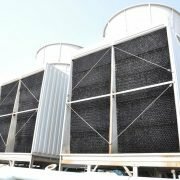 The many problems associated with the bacterial contamination of open circuit pipework systems, especially open evaporative cooling water systems and cooling towers is now well recognised, particularly where waterborne pathogens such as Legionella bacteria can present safety critical issues. Approved codes of practice, detailed guidance notes and tried and tested management and control procedures now exist for dealing effectively with microbial contamination in such open circuit systems. BSRIA Guide BG 50/2013 – Water Treatment for Closed Heating and Cooling Systems. 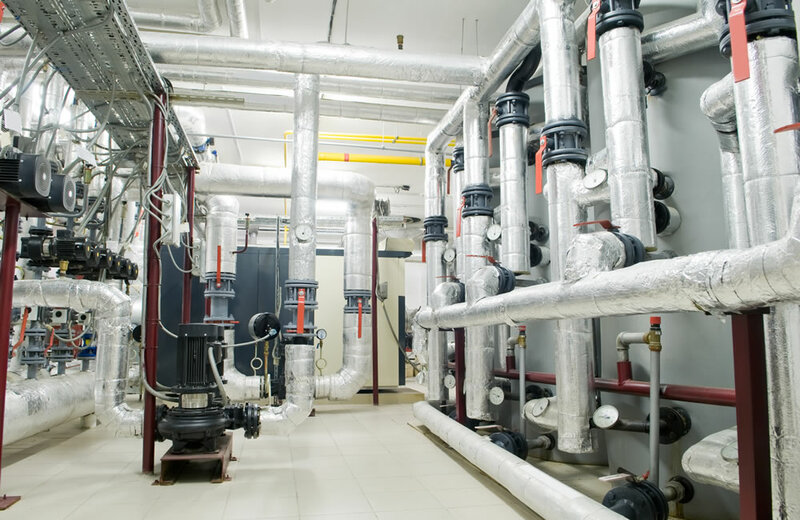 British Standards BG 29/2012 – Pre-Commission Cleaning of Pipework Systems. CIBSE AM14 – Non-Domestic Hot Water Heating Systems. BS 8552:2012 – Sampling and monitoring of water from building services closed systems. Code of practice. 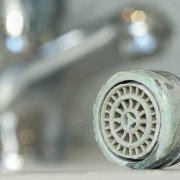 What Problems are Caused by Bacteria in Closed Systems? 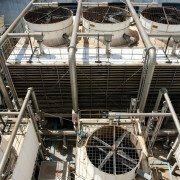 Accelerated corrosion of the closed circuit system can occur resulting in increased maintenance costs, reduced performance and premature system failure. The corrosion tends to result from the formation of organic acids, hydrogen sulphide, ammonia etc. within the closed system. The closed system and its components can become blocked by a build-up of bacteria and microbial slimes. These cause blockages of the strainers, control valves and pipework. Microbial fouling of the internal closed circuit surfaces, in particular heat exchange surfaces reduces system efficiency and leads to increased costs. The build-up of bacteria and generation of internal gases with in the closed circuit system can affect the accuracy of commissioning data leading to poorly configured systems. Typical bacterial contamination of closed heating and chilled water systems can include pseudomonas, sulphate reducing bacteria, nitrite reducing bacteria and other slime forming bacteria. 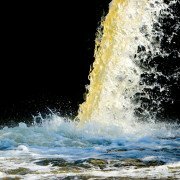 If the water sample is contaminated with bacteria it is likely to have a distinct, usually unpleasant smell. A strong smell of stagnant water will be a good indication that microbial contamination is present. If the water sample is contaminated with bacteria it is likely to have a distinctive brown or green colour. This colour change would tend to indicate the presence of algae or other bacteria contamination. If the water sample is contaminated with bacteria it is likely to have a distinctive cloudy appearance. Cloudy water will be a good indication that microbial contamination is present and is often caused by organics produced by the bacteria. A simple test using a dip slide which is then incubated will often be sufficient to identify the general level of microbial contamination. If you need to identify the type of bacteria causing the contamination then a more extensive laboratory water test will be required. Water Treatment Services are a leading independent UK water management company offering expert water management solutions including the management of closed heating and chilled water systems, water disinfection, cleaning and chlorination of water systems, pre-commission cleaning, boiler and cooling water treatment, energy efficiency and engineering support services..
With offices in London serving the South and South East England, Manchester (North West), Birmingham (Midlands), Bristol (South East England and Wales), Leeds (North and North East) and Glasgow (Scotland), supported by regional teams of specially trained engineers, site service specialists and technical experts we can offer water management treatment services including the management of closed heating and chilled water systems across the whole of the UK. 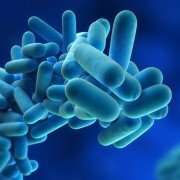 Do I Need to carry-out a Risk Assessment for Legionella?